Mozart knew the clarinet virtuoso Anton Sadler and his brother Johann (also a clarinet wizard) from his time in Salzburg. Anton Sadler and Mozart grew to become close, and the composer wrote several instrumental pieces involving a clarinet specifically for his virtuoso friend. Anton was a bit of an easy-going chap, which Mozart naturally warmed to despite his family not really liking the clarinetist. 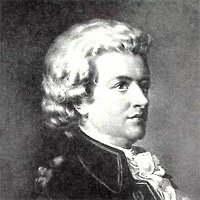 The time in Mozart's life in which he wrote his Clarinet Concerto in A Major (K622) was only two months before his early death. He was in the middle of an upswing, just recovering from losing his fame and large income, gaining traction and respect once more. It was towards the end of 1791. Mozart's last opera, The Magic Flute has just premiered successfully, although Mozart had fallen ill.
Click to explore all of Mozart's operas. He penned the concerto quickly, writing for Anton Sadler's signature instrument, a basset clarinet. 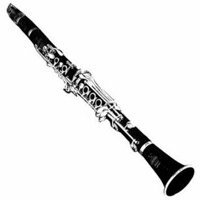 This was a modified clarinet which could play lower than a normal one (the reason Sadler liked to play second clarinet in orchestras in spite of his immense skill). The Mozart clarinet concerto was handed to Stadler around the start of October 1791, the ink still slightly wet. Mozart gave his friend instructions and cash to travel to Prague and premiere the concerto at a benefit concert there. Stadler premiered the Mozart clarinet concerto on October 16th, 1791. The audience and critics were smiled appreciatively but not hugely impressed. Sadly the original score has been lost to time. Stadler went on a grand European tour after the Prague concerto, and either dropped the manuscript somewhere or pawned it off. Since the clarinet required in the original concerto has low notes that a modern orchestral clarinet just doesn't have, the version of the piece we hear today is a transcription. Nobody's quite sure when it was made or by whom, but it was likely to be Mozart's publishers a couple of years after he died. The great composer was actually a huge influence in establishing the clarinet as a staple of the orchestral ensemble. The instrument was still shiny and new at the time, not quite perfected - people weren't quite sure exactly what to do with it. 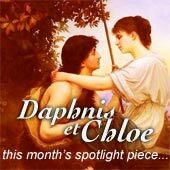 The composer had loved the clarinet from early on in his career, and over the years (no doubt spurred on by the incredible beauty his friend Sadler could coax from the instrument) his admiration grew. He had written for it as early as 1783. Here's a quick guide to the different sound registers of the clarinet. Hopefully you can see what Mozart saw (or rather, heard)! Low register: A strong, woody sound, full of color and warmth. Middle register: A sophisticated, rounded sound, smooth but vivacious. High register: A very bright sound, sharp but without being irritating. Very different to the other registers. Mozart was at the shining apex of his talent at the time he wrote the clarinet concerto. His mastery at blending solo instrument with orchestra is staggering. He removed the oboes and put more airy flutes instead, and took out all the brass instruments except two horns. This modification yields a warm, smooth orchestral palette, which lets you clearly hear that gorgeous solo clarinet. In fact the clarinet may have been the perfect paintbrush for Mozart to illustrate his inner melancholy with. As I mentioned earlier he had fallen ill, and perhaps knew his doom was imminent. Allegro: A rich, flowing first movement sets the stage for the clarinet. 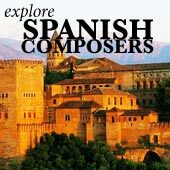 This movement has breathtakingly virtuosic passages, packed with enormous jumps between various registers of the instrument. Adagio: A slow, moving second movement in which the composer express his inner loneliness. The Adagio is one of the most well known Mozart pieces, because of the touching solo melodies and the deep currents of melancholy which stream through it. Rondo, Allegro: Breaking the sadness of the second movement is a bouncy, almost humorous finale, a flighty whirlwind of sound which rounds out the concerto. I highly recommend the recording by Herbert von Karajan with the Berlin Philharmonic, recorded in the early 70s. The orchestral sound is perfect, and the soloist Karl Leister has a fantastic, dark woody tone and musical style which is much lauded. Personally I think it's great! If you're after historical accuracy, I recommend the recording by clarinettist David Shifrin, with Gerard Schwarz conducting the Mostly Mozart Orchestra. Shifrin uses a basset clarinet (which can play several notes lower than a normal clarinet), which is what Mozart originally wrote the concerto for, but the real winner here is his beautifully smooth tone, not overpowering, but with the right fluidity and grace that fits Mozart's music. 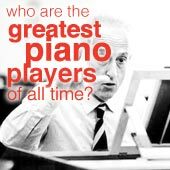 The most revered and famous recording is by Robert Marcellus with the Cleveland Orchestra conducted by the legendary George Szell from the early 60s. Everything is perfect here - the mood, the musicianship, the tone, and gracefulness which Marcellus effortlessly brings. No wonder it's considered the benchmark!